Newly protected land on the Hyde Park Trail Buffer.Robert Rodriguez, Jr. Visible from the Hudson River and Ulster County, the land features rolling hills, rock ledges, wetlands and vernal pools. A carriage road built for the Roosevelt family passes through the property. Today it is part of the Hyde Park Trail, a 10-mile system of paths connecting some of the Hudson Valley’s most popular tourist destinations: the Home of Franklin Delano Roosevelt and Presidential Library & Museum, Val-Kill, Top Cottage and Vanderbilt Mansion. Protection of this land furthers our efforts to safeguard from sprawling development the rural character of Hyde Park, a linchpin of the region’s $4.5-billion tourism industry. We previously saved 334 wooded acres—formerly FDR’s tree plantatio —conserving a crucial link between his home and Val-Kill, the Eleanor Roosevelt National Historic Site. And earlier this year we purchased the 72-acre former Dominican Camp, also preserving impressive views to and from the river while providing an opportunity to extend the Hyde Park Trail in the future. 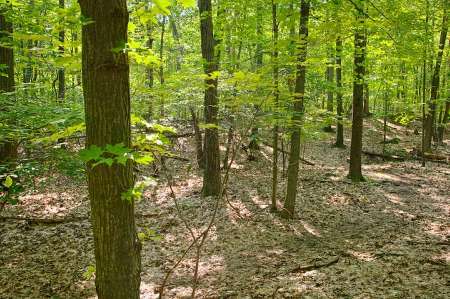 The purchase is part of Scenic Hudson’s collaborative campaign to Save the Land that Matters Most, protecting 65,000 acres of great scenic, ecological and agricultural significance.